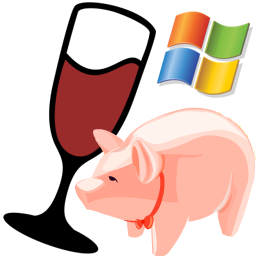 Swine manages different Windows installations using the Wine-Prefix method. Different software can be installed in separate slots which makes the maintenance much easier. Different slots can emulate different Windows versions and have different libraries installed. This is especially handy for software that needs a highly customized environment (e.g. games). For each slot, Swine manages a list of shortcuts to Windows programs. Users can create shortcuts for commonly used programs including a working directory and arguments. Swine supports a lot of useful wine tools so that users do not have to type in commands manually any more. Winetricks offers automated installation routines for a wide range of applications and libraries. Swine has an integrated support for winetricks.